"The Price of Freedom is Never Free..."
Pam and I have been at this since 1996, attempting to support our current troops serving our nation and to focus attention on military veteran issues and matters of national security. Along this long path it was our hope that the upcoming generation would learn something about our proud national traditions and the personal sacrifices by previous generations that have made our country great, and that they would challenge our elected officials when they see that our Constitution and individual liberties are threatened. Unfortunately, the younger generation apparently has little desire to preserve our individual freedoms or speak out to power. They seem to be perfectly content to allow the federal government to increasingly control their lives without much concern on what the end results will be for them or their children. Frankly we feel that is a tragic mistake and clearly apathy has become the new normal. After all, less than 1% of the current population is serving in our Armed Forces. Many state they support the troops but when you cannot voice your opinion to your elected officials concerning our Constitutional freedoms, which our Armed Forces and elected officials have sworn to protect and defend, we seriously must question such support. It just appears to be a fashionable statement with little individual action or conviction. To make matters worse, with the disclosure of NSA surveillance activities - reportedly not domestic - and the IRS scandal even many veterans are no longer voicing their opinions. Such disclosures have apparently hit their mark and have silenced many Americans through intimidation. Only a handful of patriotic Vietnam veterans across the nation continue to speak out publicly. In closing - in my opinion - the future of our country and our individual freedoms is increasingly in peril. But the majority of our fellow Americans appear to be perfectly content with that course. It is likely that the point will come when we discontinue our mission. Troop Support, Military News Links, Op-Ed Page.. Also join us on our Newsletter blog! 3/17 "Silver Spurs" -- "Bear's" old unit -- Your gateway to the 3/17 Air Cavalry Squadron, Past & Present! Please also see our: 3-17th Cav Support Page - And join us on our Silver Spur blog where we have many videos posted! Edwards & Young family Racing Updates, Videos & Photos - a work in progress!! Pam is currently a member of VVA and co-editor of this newsletter. We thank you for dropping in, and hope you will find some articles of interest. 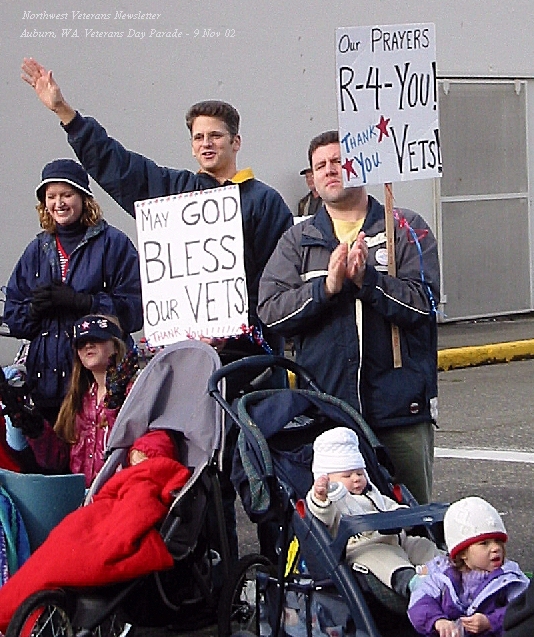 Disclaimer: The opinions expressed on this site, except where otherwise noted, are those of the author and do not necessarily reflect the views of The Northwest Veterans Newsletter. The Northwest Veterans Newsletter provides external links for its readers as a convenience and for informational purposes only. The links do not constitute an endorsement or an approval by this newsletter. The Northwest Veterans Newsletter bears no responsibility for the accuracy, legality or content of the external sites or for that of subsequent links.